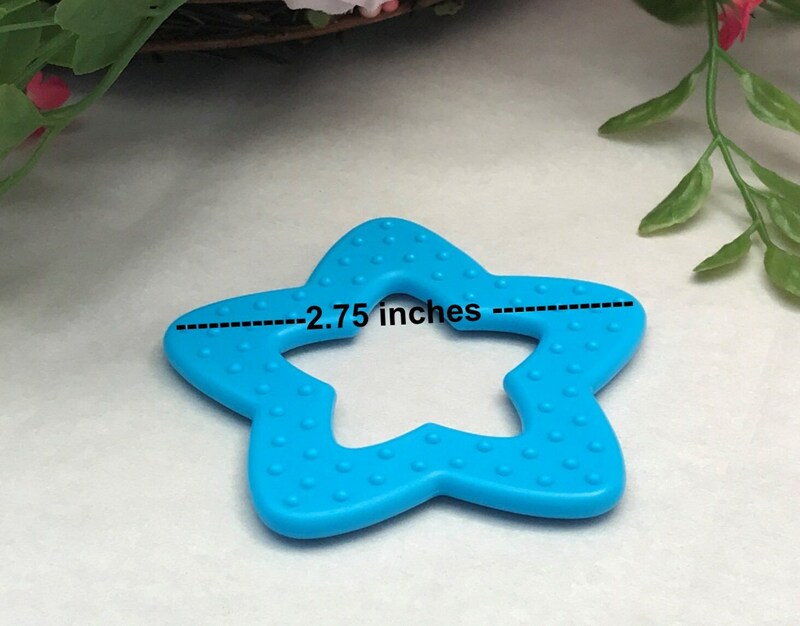 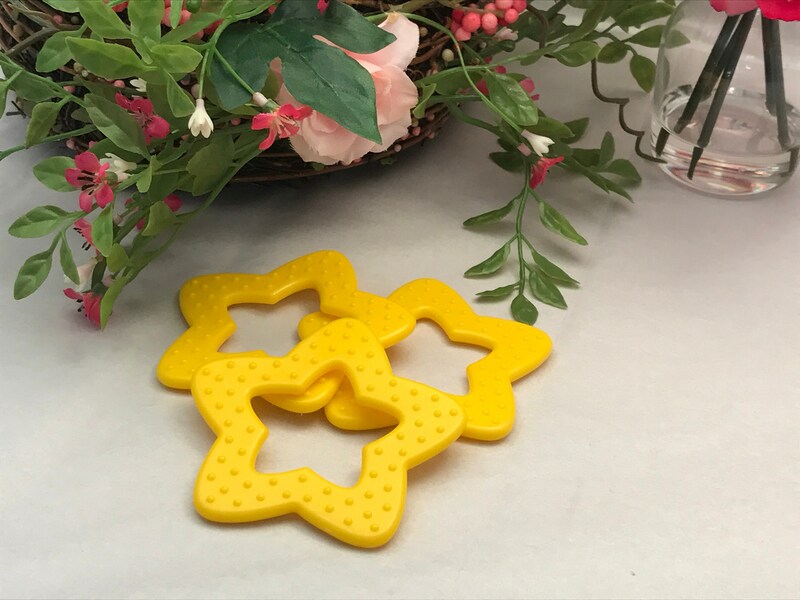 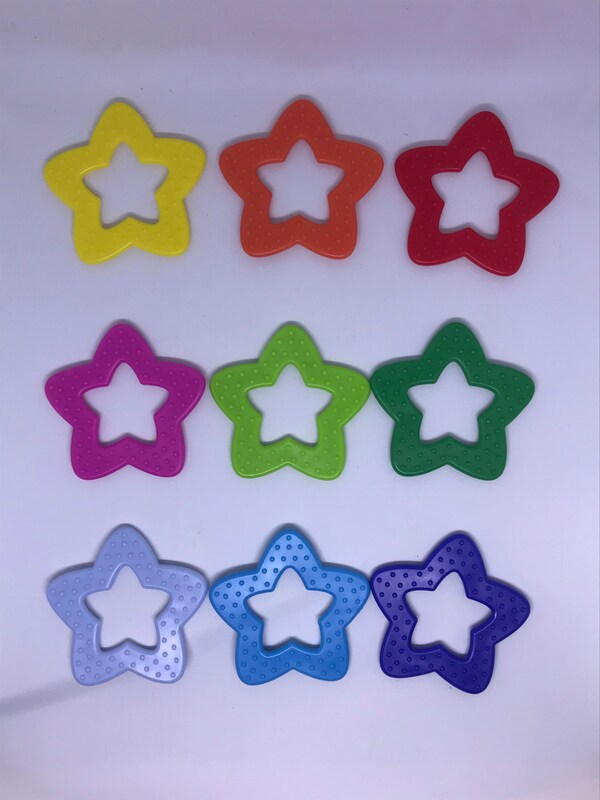 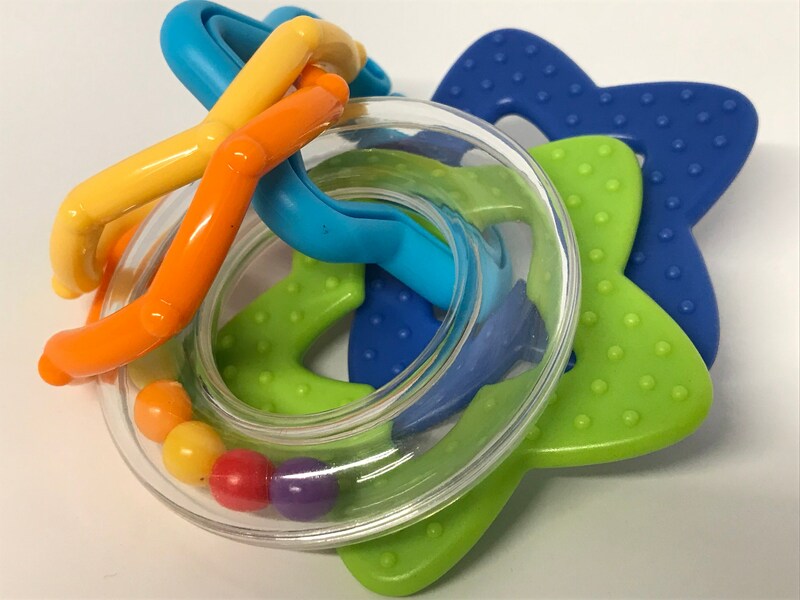 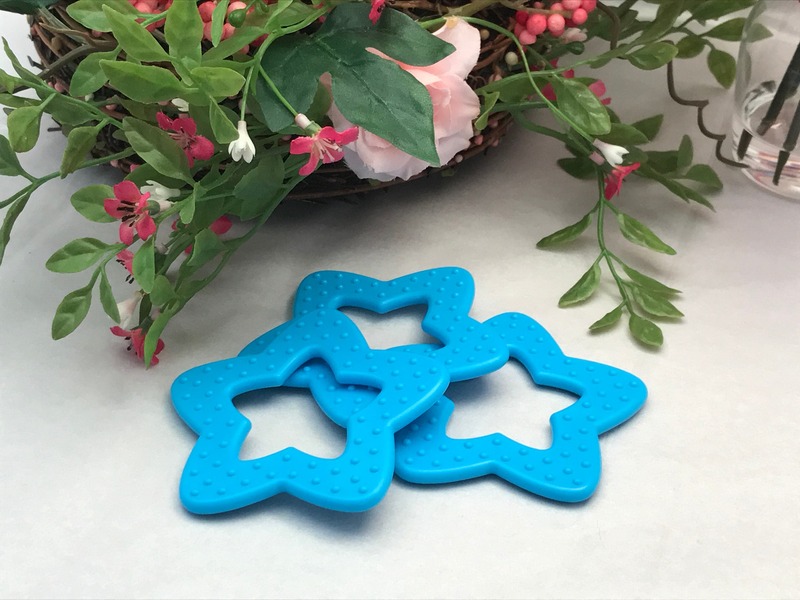 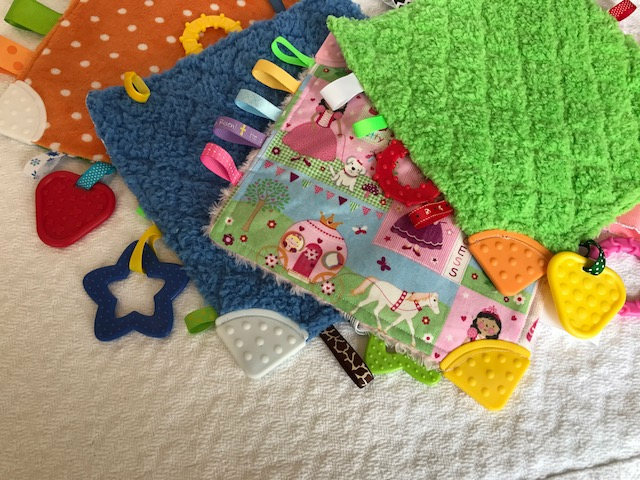 USE: This star teether may be added to toys, toy clips, teething necklaces, or even used by itself. 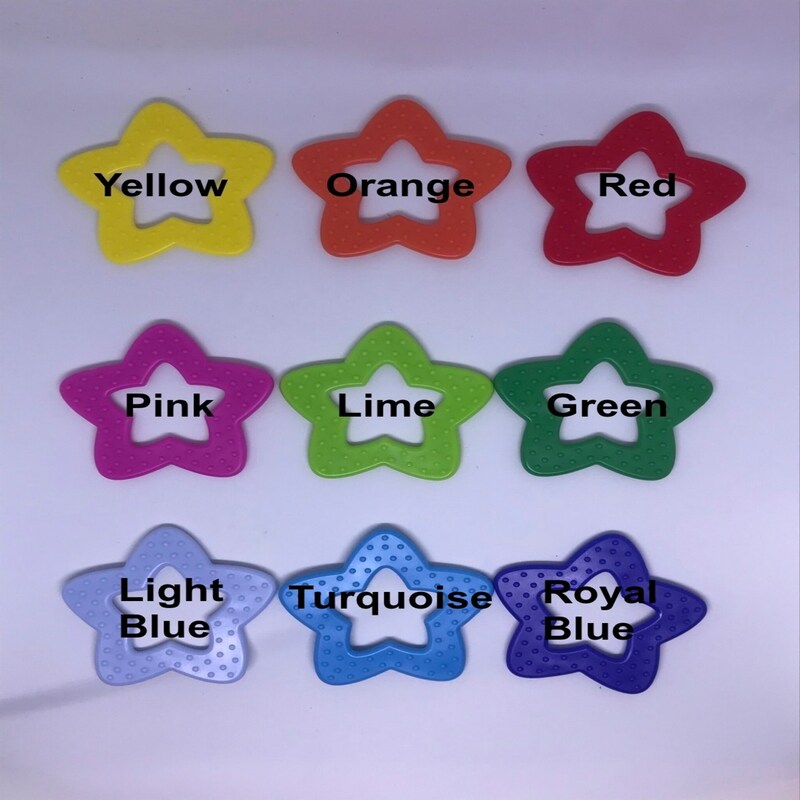 COLORS: Select from 9 different colors: yellow, orange, red, pink, lime, green, light blue, turquoise, or royal blue. 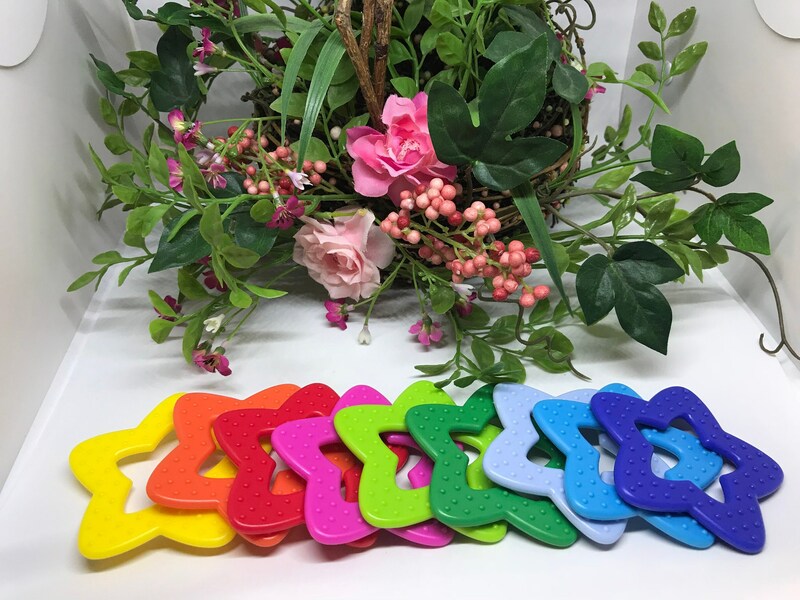 Choose all the same color or one of these assortments: mixed boy (random mix -- no pink), mixed girl/any (random mix of any color), or "I want to choose."